After on-the-job experience, case studies are the most important part of every project manager's training. 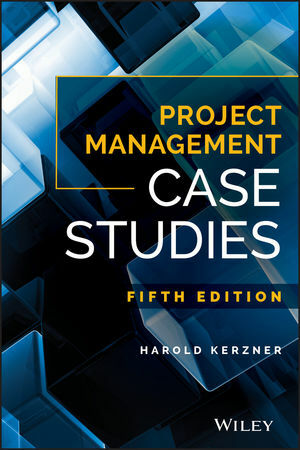 This Fifth Edition of Project Management Case Studies features more than one hundred case studies that detail projects at high-profile companies around the world. These cases offer you a unique opportunity to experience, first-hand, project management in action within a variety of contexts and up against some of the most challenging conditions any project manager will likely face. New to this edition are case studies focusing on agile and scrum methodologies. Experienced PMs, project managers in training, and students alike will find this book to be an indispensable resource whether used as a standalone or combined with the bestselling Project Management: A Systems Approach to Planning, Scheduling, and Controlling, 12th Edition. HAROLD KERZNER, PHD, is Senior Executive Director for Project Management at the International Institute for Learning, Inc. (IIL), a global learning solutions company offering professional training and consulting services worldwide. Dr. Kerzner's profound effect on the project management industry inspired IIL to establish, in coordination with the Project Management Institute (PMI), the Kerzner International Project Manager of the Year Award, which is presented to a distinguished PMP® credential holder or global equivalent each year. Includes access to one free online PMP® Mock Exam from Wiley Efficient Learningsee inside for details.